Sometimes when we travel we find it helpful or perhaps necessary to stop and figure out where we are and where we are intending to go. This may well cause us to change our direction and re-focus on our goal. It is in this journey of faith, in our lives as Christians, that we would do well to stop, take stock of where we are and where it is Christ seeks to brings us. This is the essence of the season of Lent. It is in today’s Bible readings that we see and hear God doing this very thing with His people. From where we are called: In our first reading we see God calling Abram from the land of his kinfolk to the land of God’s promise. We hear God’s promise to Abram that as he follows in faith God’s promises will be his. So it is with each of us. God calls us out from the land of our fallen humanity to come to the land of His promise, life in the Kingdom of God. As it was for Abram, so it is for each of us. This is a journey of faith, trusting in the guidance, providence and grace of our God. It is also a journey that as we follow we discover our true, full name, that person god has created, called us to be. 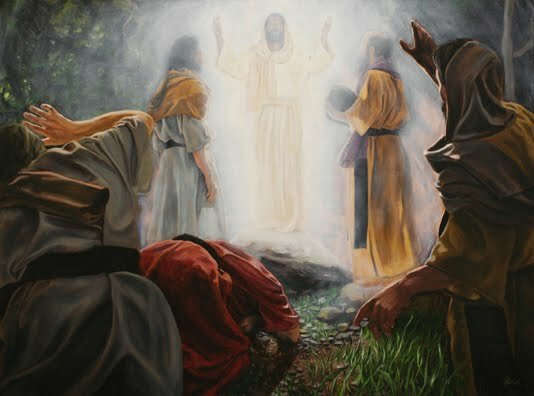 Called to God’s Mountain: In the Gospel we see the disciples, led by Jesus to the Mount of Transfiguration. It, again, is a journey of faith that wearies their human strength. Yet in following they are brought to see, to know Christ as they never have before. Their realization of the saints, the power and dimension of God’s Kingdom are forever changed. But this power-filled revelation brings them to collapse in fear and awe before the majestic power and beauty of God. So it is as we allow God to lead us, we are brought to the fearful realization of our failings…and God’s majesty…This is the journey of Lent, the journey of the faithful as we seek to follow the Shepherd of our souls. And it was from this mountain that Jesus would lead His disciples to another mountain where they would even more powerfully see and know the majesty of His love. It would be at the Mount of Calvary, where our Lenten journey will end that we too will be called to enter into His love at the Cross and the joy of His resurrection on Easter morning. It is as we each follow our Lord this season of Lent, and every day of our lives, that with His disciples we can know His touching us as He calls to us “Rise and do not be afraid”.